When you need a patent application, a Patent Attorney with Tucker Law will draft a patent in accordance with your particular business goals. In some cases, a patent will allow you to corner the market and exploit your invention. In addition, a patent attorney with Tucker Law will help you take the right steps to protect and enforce your resulting patent rights. The United States Patent and Trademark Office grants patents based on new and useful inventions. Receiving a patent provides you with the ability to exclusively exploit your invention. Not only do inventors gain a significant commercial advantage over the life of the patent, name recognition developed through trademarks and established distribution channels can extend the resulting products for many years thereafter. Why Choose a Tucker Law Patent Attorney? It is important to hire a patent attorney that has experience with a wide array of technologies and experience. Tucker Law drafts patent applications encompassing a large spectrum of technological advancements, including mechanical structures, electrical systems, and processes, e.g. computer programs and mobile applications. What will a Tucker Law Attorney Accomplish for You? Tucker Law will work together with you to draft a patent application commiserate in scope with your invention. The level of detail and number of embodiments will be drafted in accordance with your individual business goals and financial considerations. 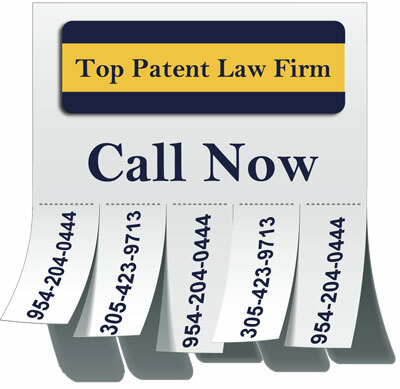 Tucker Law cannot legally say it is the best patent law firm, however, it may have the best Patent Attorney for you. Call Tucker Law toll-free at 1-844-4-TUCKER to find out. You invented a better mouse trap. You want to approach potential manufacturers, investors, big box stores, and the like. But should you do so before filing for a patent? The answer: No, you should not disclose your invention to anybody until after you file for a patent that was prepared and filed by an experienced and registered patent attorney. Filing a patent application is the only meaningful way to protect the structure and function of your invention. Some Companies face particular difficulty because a number of employees may have access to an invention or third party consultants and companies are part of the development of patentable subject matter. To overcome this problem, Companies should have policies, procedures, secrecy agreements and non-disclosure agreements in place that attempt to reduce loss of Company secrets and inventions. Patents may provide you with an ability to corner the market and generate revenue. Your company can produce a product or product line, license the use of the patented invention, sell the patent to somebody else, or utilize a combination of all three. A valuable patent can provide the ultimate marketplace advantage. By stopping others from entering a product or process into the stream of commerce that infringes on your patent, your products can be differentiated in the marketplace. If you are the only company allowed to practice an invention, you gain significant bargaining power when sourcing parts from other companies. Furthermore, a patent can allow you to set premium prices on your ultimate product sold to consumers and recoup your costs associated with research and development. Patents provide credibility when approaching investors and big box stores. Investors commonly want to invest in patented products that have one or more patents that act as a barrier to competitors’ entry into the marketplace. In fact, cost of entry into a market is rarely a real deterrent to block entry. Patents act as the best and most prudent legal mechanism to bar entry of competitors. Patents can help reduce your business costs. When you are the only one allowed to produce a particular patented product or component, your success helps force manufacturers to compete for use of their components for use in your system. In doing so, you may also be at a greater advantage to negotiate for reduced royalty rates on patented components that can be combined with your invention. In other cases, you create a new line of products that eliminates a competitors patented component and thereby eliminates a royalty rate that others are forced to pay. By reducing or eliminating a royalty rate, your patent may provide a significant competitive advantage by allowing you to set prices that undercuts your competitors. For some companies, patents are obtained without any intention of ever enforcing their patent rights. Instead, patents are obtained defensively to avoid litigation. At first, that may seem inconsistent with the purpose of patents. But the threat of a counterclaim can deter competitors from filing a patent lawsuit in the first place. As an example, Red Hat is one major software company has developed a patent portfolio for the sole purpose of deterring others from suing over patent rights. In fact Red Hat openly states on their website that anybody can obtain a license for use of their software so long as the user does not institute a patent lawsuit against Red Hat. How Long do I Have to Obtain a Patent? As soon as you sell a product, or even offer to sell your product, a 1 year clock begins to run. At the end of the 1 year anniversary, you can no longer obtain patent rights on the aspects of the invention that were being sold. Thus, each time you improve on your existing products, you must file a new patent application if you would like to protect the new features. Can You Help Identify Patentable Features? Yes, it is common for Companies to seek the advice and counsel of a Firm Patent Attorney to evaluate up-and-coming product lines for patentable features. In order to obtain patent rights, the inventor or owner of the invention submits a patent application to the patent office, which will be reviewed by the patent office for patentability. The patent application is essentially an instruction manual for teaching a fictional person having normal skill and knowledge in the particular technical field to make and use the invention “without undue burden”. After meeting with a qualified patent attorney, your invention is memorialized in a patent application, describing the best mode for carrying out your invention. Your patent application may describe the many different embodiments implemented to carry out your invention. Utility Patent Applications – Utility patents comprise both provisional patent applications and nonprovisional patent application, and protect the structure and/or function of your invention. Provisional patent applications at their core are intended to secure a filing date for an invention. In March of 2013, the patent laws changed from a first to invent to a first to file patent system, placing the United States patent system in line with the rest of the developed world. The race to the patent office is real. It is no longer ok to simply invent first, but rather, it is necessary to file a patent application before somebody else beats you to the punch. Luckily, provisional patent applications allow inventors to protect their invention and at the same time continue to develop their products. Nonprovisional patent applications can be filed instead of a provisional application. However, unlike provisional patent applications that require only a detailed disclosure of your invention, nonprovisional patents must include at least one patent claim that defines the scope of your patent rights. Whether you should file a provisional patent application or a nonprovisional patent application typically requires an evaluation of your goals, objectives, and commitment to obtain patent rights. Design Patent Applications – Design patents have one claim based on the ornamental look of a product. Applications that eventually issue into a design patent can be particularly valuable. However, in many cases, design patents are easy to design around. Speak with a firm patent attorney to determine whether a design patent will provide value to your business. Plant Patent Applications – Plant patents are granted for an inventor that has invented or discovered and asexually reproduced a distinct and new variety of plants. Plant patents are available for 20 years from the date the application for the plant patent is filed. If the plant was discovered, it must have been discovered in a cultivated area. Some plants, such as a tuber food part, including a potato or Jerusalem artichoke, are not patentable. Similar to utility and design patents, the plant cannot have been released to the public more than one year prior to filing a patent application. Also, the invention cannot have been an obvious variation. In order to obtain a patent, a patent examiner at the Patent Office must be convinced that your patent claims, after performing a patent search and subsequent analysis, describe a novel and nonobvious invention. For novelty, the examiner will look at the prior art uncovered to determine whether the claims are different from what is already known, no matter how slight the variation. Any variations will overcome the novelty requirement. The Patent Office will then analyze the prior art for obviousness in light of prior art uncovered by a patent search. The examiner will use that patent search to determine whether the invention would have been obvious at the time the invention was made to a hypothetical person of ordinary skill in the art to which the subject matter pertains. Obviousness, however, is a legal term of art. For example, obviousness cannot be established by merely combining the teachings of the prior art to produce the claimed invention, absent some teaching or suggestion supporting the combination. Accordingly there are many solutions to overcome the Patent Office’s finding of obviousness, which allow you to obtain patent rights to your novel invention. The three different patents have varying durations. Utility patents and plant patents have a 20 year grant of patent rights from the date of filing the patent application. Alternatively, design patents last 14 years from the date of issue. In some cases, your patent attorney can use the existing laws between utility patents, design patents, trademarks, and copyrights, to creatively maximize the life of your intellectual property rights. Patent claims are the portion of the patent that define the scope of your patent rights. The claims may describe the structure of your invention or process. The patent claims essentially describe the boundaries of your intangible property rights, similar to how a deed to a house describes the boundaries to your real estate property rights. The patent claims inform the public that they are responsible for damages that flow from making, using, or selling any system, device, apparatus, composition of matter, processes, or any new use of the same that has each and every element of one or more claims. In fact, while utility patents typically have more than one claim, infringing on a single claim is infringement and the consequences can be substantial. Hindsight has long been feared in patent law in making an obviousness determination. In some cases, hindsight biases inventor’s own perceptions of whether their invention is obvious, which is why it is so important for an inventor to seek the advice and counsel of a registered patent attorney. However, the Patent Office and Courts must view the prior art from the point in time just prior to the point of filing for a patent application because many inventions would seem obvious after they have been disclosed to the public. In many cases, the mere fact that nobody ever combined certain elements in a particular way is persuasive to overcoming an obviousness rejection, though certainly not guaranteed. 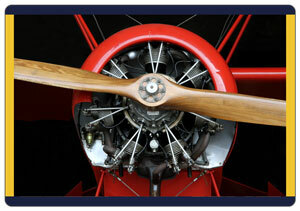 Tucker Law focuses a portion of its practice of patents. If your business needs a Patent Attorney serving Fort Lauderdale, Miami-Dade, West Palm Beach, or Orlando, contact Patent Attorney Matthew Sean Tucker at Tucker Law. A firm attorney is available to meet throughout the tri-county area and Orange County. Call the Firm toll-free at 1-844-4-TUCKER or send us an email through the Firm’s website. Thereafter, a firm Patent Attorney will contact you to discuss the next steps.